The Delhi High Court today refused to stay trial court proceedings in connection with an Arvind Kejriwal’s defamation case complaint filed against Chief Minister Arvind Kejriwal and Deputy Chief Minister Manish Sisodia. Justice I S Mehta, however, granted the exemption to the Aam Aadmi Party (AAP) leaders from personal appearance on April 6 before the trial court in the matter. “Let the proceedings before the trial court goes on. I am giving relief that they (Kejriwal and Sisodia) are exempted from appearing in person before the trial court on April 6,” the court said. It said that the two will file an exemption application through their counsel before the trial court, which should be decided as per law. The court’s direction was issued during a hearing of a petition filed by the two AAP leaders, who sought to quash of the criminal defamation complaint filed by advocate Surender Kumar Sharma. The two also sought a stay on the proceedings before the trial court, which is yet to frame an issue in the matter. The leaders contended that the order of the trial court summoning them was “erroneous”. They also said that a false complaint has been filed against the chief minister and his deputy. The high court today issued a notice to complainant Sharma in the matter and asked him to file his response by July 28. It also asked the Delhi police to file the status report in the matter. Besides Kejriwal and Sisodia, the complainant has also named Yogendra Yadav in his complaint. Yadav was a member of the National Executive of the AAP until 2015 when he was expelled for alleged anti-party activities. Later, he floated his own party Swaraj India which is going to contest municipal corporations election in Delhi. Sharma had alleged that in 2013 he was approached by volunteers of AAP who had asked him to contest the Delhi Assembly elections on a party ticket, saying Kejriwal was pleased with his social services. He filled up the application form to contest the polls after being told by Sisodia and Yadav that AAP’s Political Affairs Committee had decided to give him the ticket. However, it was later denied to him. On October 14, 2013, the complainant claimed, articles in leading newspapers carried “defamatory, unlawful and derogatory words used by the accused persons” which have lowered his reputation in the Bar and the society. Opposing the complaint, the AAP leaders submitted that cancellation or allotment of an election ticket is the prerogative of the party. “Party has asked him if any cases were pending against him to which Sharma had said nil. Later it was found that several cases were pending against him and he had concealed this information. “Kejriwal did not issue any press release against Sharma. The party had issued the press release. 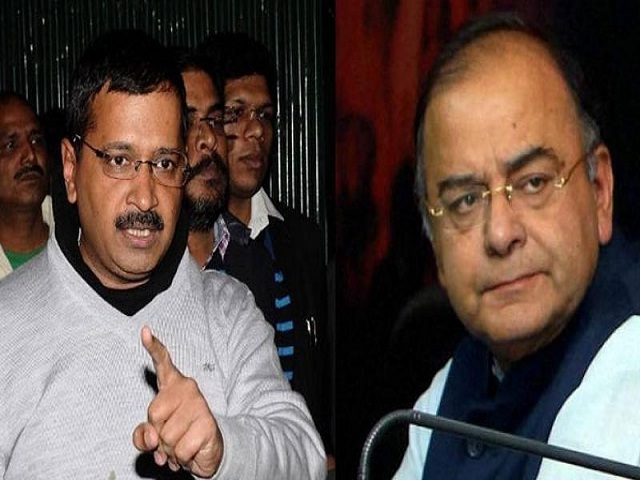 So no defamation case made out against Kejriwal,” the counsel for the two submitted. On the basis of the complaint, the trial court had sought their presence before it in the matter. It, however, had granted bail to Kejriwal, Sisodia, and Yadav, after they had appeared before it in pursuance to summonses against them.